When designing the layout and type of vegetation you want in your yard, don’t forget to plan for the maintenance that you will need to keep your plants looking beautiful after they have grown. 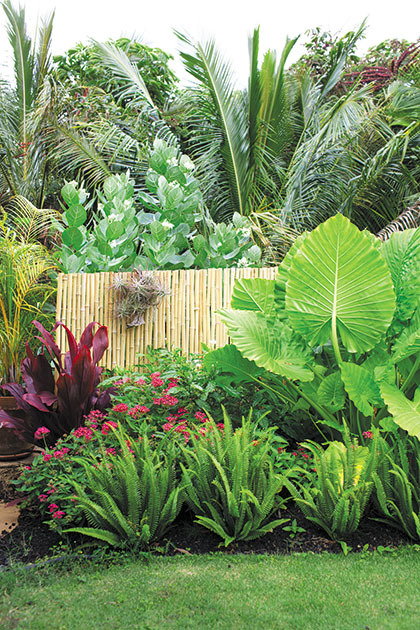 Whether you opt for a tropical landscape with flowers that you can cut to beautify your indoors, or keep your improvements focused in your outdoor environment, your landscaping decisions will determine the type and amount of maintenance you will need. Hedges are an example of how your planning decisions will affect maintenance. Some hedges grow quickly and require lots of cutting and shaping in order to look full, while slower growing hedges need less trimming and shaping. You can use pre-emergent herbicides that prevent weeds from coming up, or if you prefer organic methods, you can spray saltwater on weeds to shock them without killing them. Another groundcover option is riverbed rocks, which are beautiful, artful and still allow for vegetation.